Women In Retail Leadership Circle | Speaker Roster for the Women in Retail Leadership Summit Growing Every Day! 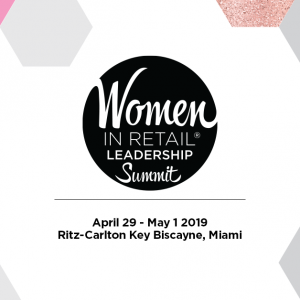 It’s been a while since I provided an update on the fantastic speaker roster we have for the Women in Retail Leadership Summit, taking place at the Ritz-Carlton, Key Biscayne in sunny Miami, April 29-May 1. The Women in Retail Leadership Summit, now in its sixth year, is designed to enable women in leadership positions at retail companies to network, learn from each other, and improve business processes and strategies, all in an exclusive, white-glove environment. You don’t want to miss this event! Feel free to email me at mcampanelli@napco.com for a special offer. Also, there are group rates too, so please contact me for information about those as well. I can’t wait to see you in Miami! Miami Dreaming … More Girl Talks News! Job of the Week: Vice President of Marketing, Soma Join Us at The FQ Lounge at Shoptalk!